Use code "welcome" to get it for £4.80! You can increase insurance to £5000. I think door to door was only around £1 extra. Not this again.. this is Parcel2Go brokering UPS services. Your contract is with P2G (may the lord help you) and not with UPS. This should be clear in the OP. This is for up to 10Kg, 10 to 20 is 6 quid. Still a good price for sending a couple of wheels. Not this again.. this is Parcel2Go brokering UPS services. Your contract … Not this again.. this is Parcel2Go brokering UPS services. 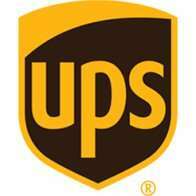 Your contract is with P2G (may the lord help you) and not with UPS. This should be clear in the OP. I've always used P2G, never had a problem and when I had to cancel something before I got a refund right away. I've always used P2G, never had a problem and when I had to cancel … I've always used P2G, never had a problem and when I had to cancel something before I got a refund right away.Plus, UPS is UPS. Its when you do have a problem with P2go , don't hold your breath for a resolution, just accept you have (well , they have) lost your parcel and move on. Its when you do have a problem with P2go , don't hold your breath for a … Its when you do have a problem with P2go , don't hold your breath for a resolution, just accept you have (well , they have) lost your parcel and move on. If a parcel gets lost, would this not be the fault of the courier who is actually delivering the parcel and not P2G? UPS is delivering the parcel not P2G, and although I'm sure they do, I've never known UPS to lose many parcels. Also this is why you insure it. UPS is delivering the parcel not P2G, and although I'm sure they do, I've … UPS is delivering the parcel not P2G, and although I'm sure they do, I've never known UPS to lose many parcels. Also this is why you insure it. UPS lost a laptop a couple of years ago...tracked to the outgoing facility and just vanished. UPS will only pay cost of item without VAT...so 20% missing from payment (well that was the case for me before others say different) Claims forms were simple to fill in and because I had gone via Pharos Parcel the missing 20% was picked up by them...so in the end everything was even...not sure of others experiences. I've never quite figured out how Parcel2Go can offer services through other couriers at far cheaper prices than going directly. I recently used UPSToday (Parcel2Go) for the first time and thankfully had no issues with 4KG of vinyl records. But worried as to what happens if something goes missing. I've never quite figured out how Parcel2Go can offer services through … I've never quite figured out how Parcel2Go can offer services through other couriers at far cheaper prices than going directly. I recently used UPSToday (Parcel2Go) for the first time and thankfully had no issues with 4KG of vinyl records.But worried as to what happens if something goes missing. Seems to happen with everything, I also don't get it. It just shows how greedy the main company is if they can do it for cheaper. For example I worked at British Gas a few years back, Sainsburys who supply gas via BG, and may still do offered cheaper prices than BG. And it's not as if it's a different gas or electric, there's no such thing. I guess that these companies handle the complaints, sales etc on their behalf thus saving them money and the 3rd party wanting a smaller margin than UPS in this example. Ok except for the low insurance value. P2G are excellent in my experience. Really good price, I've been paying more for Hermes for a couple of items I sent this week. what about international parcels(to europe) any idea's at all?? Seen as UPS use access points a lot now even when you are not in they leave it at a "access point" so more of a chance of things going missing. Not saying the shop owners are light fingered but if you could see where they leave parcels there is a probability of parcels going walkies. It's a simple business contract. p2g agree an amount of trade they will take over a period and if they do less they have to make up the rest with a payment. UPS can give a cheaper price for that reason and because it give then more output. I think P2G also reduce a lot of the free insurance down to their standard £20 so they much be using their own broker and so there again UPS don't have that on their books. Where was this nine hours ago!!!! Used P2G a while back when moving to the other side of the country. 10 boxes, paid around £45 extra for insurance. Ey? P2G are well known for their excellent customer service. Always excellent for me anyway. Same with mobile phones. Networks can never get near deals offered by other retailers on their network! Can't or won't, that's the question. Where was this nine hours ago!!! !Take your darned heat. This is NOT a next day service, it's a two day service, but it might get there next day. I've sent two parcels with them with this service, both took two days, and cost me two customers. what bad experience you had with them ? I've sent over 200 parcels with them, but it was only once that a parcel went missing but they offered me compensation for the insured value. UPS lost a laptop a couple of years ago...tracked to the outgoing … UPS lost a laptop a couple of years ago...tracked to the outgoing facility and just vanished. UPS will only pay cost of item without VAT...so 20% missing from payment (well that was the case for me before others say different) Claims forms were simple to fill in and because I had gone via Pharos Parcel the missing 20% was picked up by them...so in the end everything was even...not sure of others experiences. How do they get away with not paying up the total value of the laptop? Surely they have to reimburse you the cost of replacing the laptop? Surely can't be any worse than the Royal Mail! There was no live deal at the time of posting this and didn't see that one so maybe it was made live again. Left probably 500 parcels at UPS access point, which for me is a little newsagent near me. Every single parcel collected same day, every single parcel delivered next day. Your access point guy probably had a faulty PDA, or was logging the parcels in incorrectly. Therefore UPS was not notified about them. Same with me, no faults with the one I sent.